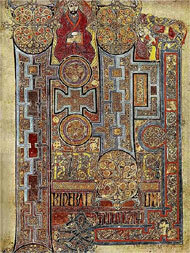 The Book of Kells is located at the Trinity College in Dublin and it is open for public visits, most times. The Book of Kells contains the four Gospels of the Christian scriptures written in black, red, purple, and yellow ink in an insular majuscule script, preceded by prefaces, summaries, and concordances of Gospel passages. Today, it consists of 340 vellum leaves,which is the skin of a mammal, or folios. What was the Book of Kells? 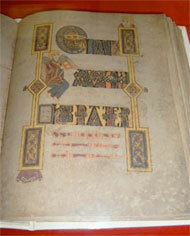 The book of Kells had a sacramental, rather than educational purpose. A large, lavish Gospel, such as the Book of Kells, would have been left on the high altar of the church and taken off only for the reading of the Gospel during Mass. However, from historical research, it is probable that the reader would not actually read the text from the book, but rather recite from memory. It is significant that the Chronicles of Ulster state that the book was stolen from the sacristy, a room in which the vessels and object that are used in the mass, are stored rather than from the monastic library. The design of the book seems to take this purpose in mind, that is, the book was produced with appearance taking precedence over practicality. It is also known there is a lot of uncorrected mistakes in the manuscript. 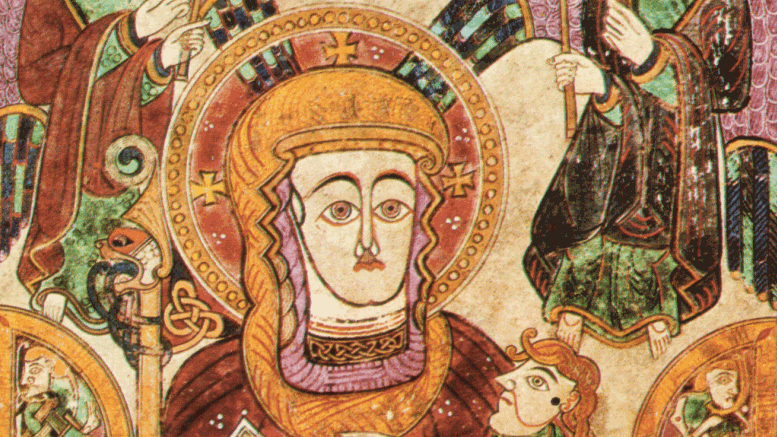 Who wrote the Book of Kells? The name Book of Kells is derived from the Abbey of Kells in Kells, County Meath, which was its home for much of the medieval period. The date and place of production of the manuscript is of somewhat a debate among researchers. Traditionally, the book was thought to have been created in the time of Saint Columba,and quite possibly as the work of his own hands. This tradition has long been discredited on palaeographic and stylistic grounds: most evidence points to a composition date circa 800, long after St. Columba’s death in 597. There is another theory, with traction among Irish scholars, that suggests the manuscript was created for the 200th anniversary of the saint’s death. The manuscript was never finished. Today there are five competing theories, of the place and production of the manuscript. The first is that the book or possibly just the text may have been created at Iona abbey, a focal point for Christianity throughout Scotland. 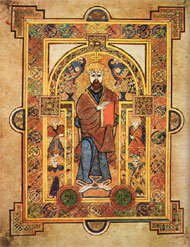 The second the Book of Kells may have been produced completely at Iona Abbey. Thirdly , the manuscript may have been produced completely at the Scriptorium in Kells. 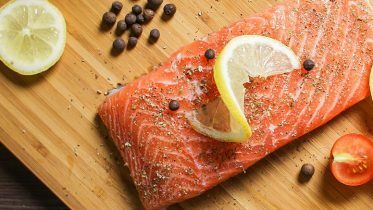 Fourth Theory is that it may have been produced in the North of England, perhaps Lindisfarne, a tidal island also known as ‘Holy Island’. And finally the fifth theory suggests that the book may have been created at an unknown monastery in Scotland. The exact location of the production of the manuscript may never be confirmed, however the first theory that it may have been partially created at Iona Abbey and carried through to Kells, is widely accepted. However, regardless which ever theory is true, historical evidence shows us that in all certainty The Book of Kells was produced by Colombian monks who were closely associated with the community at Iona. The decoration of the Book of Kells is not limited to major pages of importance but scattered throughout the manuscript. With endless designs of complicated knot work, images of small animals,humans, characters etc, the style was popular in that period in time and recognized also in metal-work and stone work of that period. Significant texts such as the Pater Noster, also known as the Lord’s Prayer, have decorated initials. Most of the decoration in the book can only be seen fully through magnifying glasses. A lot of the designs in the Book of Kells have shown widespread popularity throughout the years right up until today as motifs in popular art such as jewellery making and tattoos. What is the Book of Kells made of? The majority of the folios are part of larger sheets, called bifolios, which are folded in half to form two folios. The bifolios are nested inside of each other and sewn together to form gatherings called quires, which is the measurements of the quantity of paper use. On occasion, a folio is not part of a bifolio but is instead a single sheet inserted within a quire. The extant folios are gathered into 38 quires. There are between four and twelve folios (two to six bifolios) per quire; the folios are commonly, but not invariably, bound in groups of ten. Some folios are single sheets, as is frequently the case with the important decorated pages. The folios had lines drawn for the text, sometimes on both sides, after the bifolios were folded. Prick marks and guide lines can still be seen on some pages.The vellum is of high quality, although the folios have an uneven thickness, with some being close to leather while others are so thin as to be almost translucent.